NERF fans get ready because NERF FEST is back. Get hands-on with the latest NERF range and put your blasting skills to the test at Nerf Fest 2018, between 27 & 28 October 2018 at Jozi X, Bryanston. To join the fun all you have to do is purchase a Blaster from any of the following Nerf Blaster Ranges: Mega, Elite, Zombie Strike, Rival or Modulus and upload the receipt at www.nerffest.co.za to RSVP. Just in time for Nerf Fest – NERF is calling all fans to choose a side and gear up as the ultimate team-based precision battle is set to explode this Summer with the launch of the new high-performance NERF RIVAL line. Designed for older members of the NERF NATION, the launch of the much-anticipated NERF RIVAL range, which includes high-powered blasters and durable, battle-tested accessories, enhances the action-packed NERF experience. Pick your team and go into battle as Team Red, Team Blue, or Phantom Corps, a group of rogue specialists who may join Team Red or Team Blue today, then challenge them tomorrow. Nerf Rival battles will never be the same! NERF RIVAL brings fans a unique, high-powered experience with the ultimate in competitive team play. 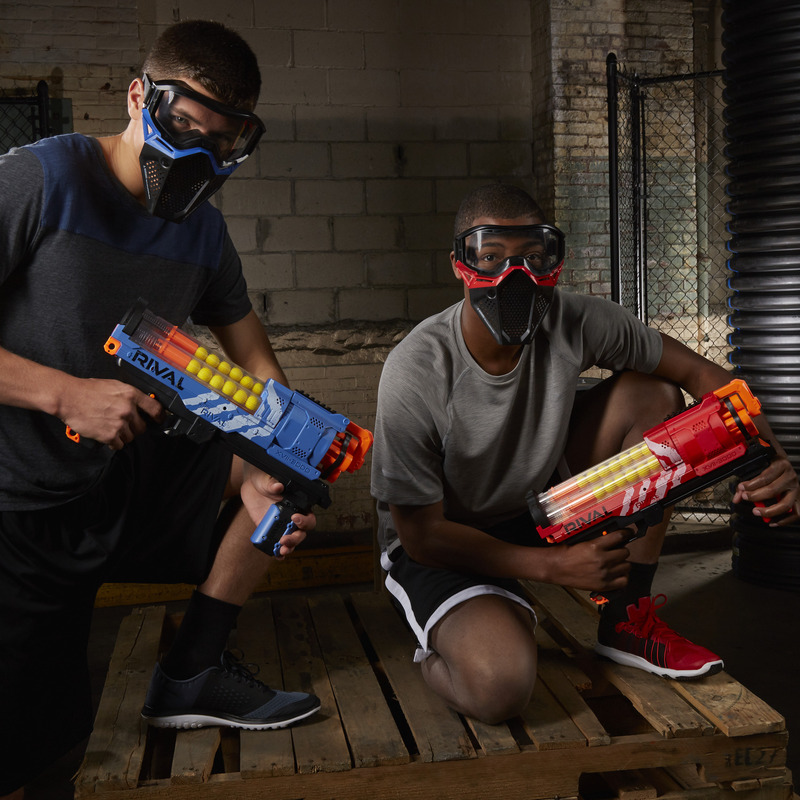 Experience the intensity when it comes to high-impact, head-to-head NERF RIVAL battles packed with foam firepower, This Is How We Play! Choose from a selection of NERF Rival blasters and accessories – available from ToyZone, Toy Kingdom, Hamleys and Takealot.com – who has the best NERF blaster collection in town now? Experience ultimate precision and power in battle with the NERF RIVAL ARTEMIS XVII-3000 blaster! Available in red or blue, the blaster features a spring-action cocking mechanism, easy-load internal magazine, and boasts slam-fire capability firing the Nerf Rival foam rounds at a velocity of up to 100 fps. 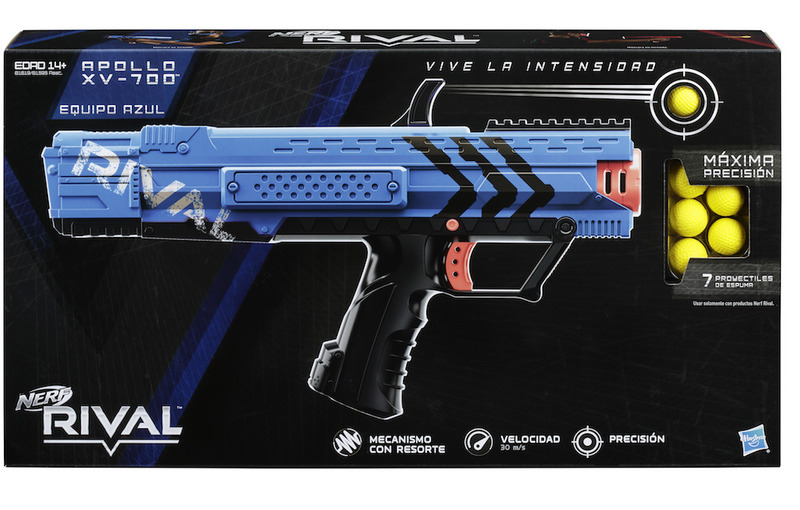 Dominate blaster battles with the Nerf Rival Nemisis MXVII-10K blaster, which offers a massive 100-round capacity to outlast the competition. The fully-automatic blaster features the first ever easy load hopper for high-speed reloads – say ‘hello’ to unlimited play and fun! Go into battle as a member of the Red, Blue or Phantom Corps team with the breech-loading Nerf Rival Kronos XVIII-500 blaster that features the team’s identifying colour and logo. Open the breech to load 5 high-impact rounds into the blaster, then prime it with the spring-action cocking mechanism, take aim, and fire. The blaster sends the rounds blasting into battle at 27 meters per second. This Nerf Rival blaster also has a trigger lock, and tactical rail. Look out for Nerf Rival Kronos Battle Set, which includes a Kronos XVIII-500 blaster and Vision Gear with a movable team colour indicator bar. 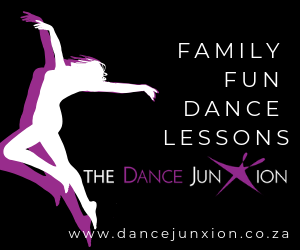 The goggles are designed for a comfortable fit and have an adjustable elastic strap. When the Nerf Rival battle starts, the ultimate accuracy of the Nerf Rival Apollo XV-700 blaster will put you in charge. Load up the easy-load magazine with the included 7 rounds, and you’ll be armed for head-to-head competition. Pop out the magazine with the press of a button to reload. Load and fire fast with the Nerf N-Strike Elite Infinus blaster, which features motorised Quick-Load Technology; as kids feed darts into the blaster, the darts are automatically loaded into the 30-dart removable drum. With motorised, rapid-fire blasting, kids can quickly unleash a barrage of darts on their targets. Hold down the acceleration button to power up the blaster, then pull the trigger to fire. The infinus blaster includes 30 Elite darts. Zombie survivors are prepared for anything with the Nerf Zombie Strike Survival System Scavenger Blaster, the essential zombie defense kit, which keeps battlers ready for any zombifying challenge that comes their way. Load a 12-dart clip and unleash a dozen darts in a row. Grab the extra clip from the holder and slam-fire the zombies away with the on/off slam-fire button, or stabilise shots with the stock/blaster attachment to never miss a target. Fire up an inferno of double action blasting with the Nerf Nitro Double clutch Inferno Blaster. This 2-barrel blaster allows kids to launch two cars at the same time. Set up targets, ramps, and obstacles and send cars flying. Challenge friends to see who can take on the ultimate obstacle, whose car will soar the highest, or go the farthest. This exciting package includes blaster, four Nerf Nitro foam cars with plastic wheels, double ramp, eight obstacles, double pop-up target and instructions. NERF from Hasbro, one of the world’s largest toy, game and entertainment experience companies, encourages hours of safe and fun, action-packed adventures suited to both indoor and outdoor active play.